Hello ~ How are you ? WebbyLatte.com, me, Eddren, would like to introduce Frozen Fanta !! You will #GetFreeze whenever you take #FrozenFanta. Great Deal !! - You may grab this at any McDonald's outlets located at Malaysia as listed below !!. COME ON GUYS !! 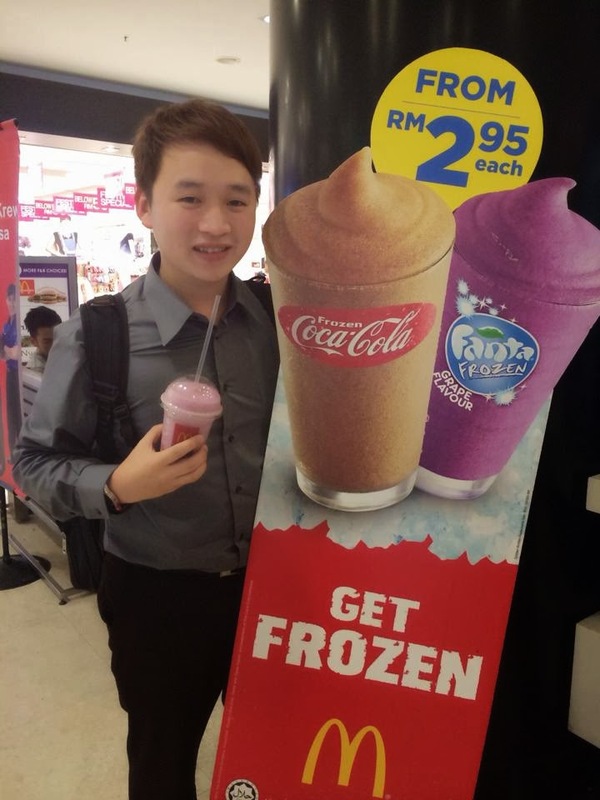 Let's #GetFrozen with me, Eddren, WebbyLatte.com !! I grabbed mine, How about you ?